The Talmud teaches that, ” 80 is the age of strength.” What is the strength of 80 years? A teenager is stronger physically, and a child can run farther and has much more energy! A 40-year old is quicker, and a 60-year old is more understanding of the ways of the world. The strength of 80 is the wisdom that comes from experience and completion. Having run much of the course of life, having seen the follies and passions of the human heart rise and disappear, having seen their own and their friends’ dreams, limitations and achievements, an adult of 80 years is finally able to look at the human condition with compassion and some skepticism. At 80 years of age a person can review his/her life, acknowledging those who cared for him/her as children, paved their paths through life, for good or for ill. In our infancy and childhood, each one of us was cared for by someone older. Now at 80 it is our time to allow the young to do the mitzvah of taking care of us. 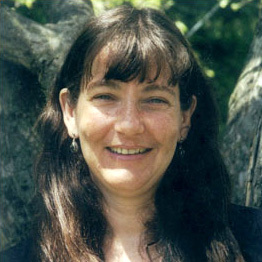 If instead of seeing ourselves as an old person whose possibilities are in the past, we see ourselves as sages who can bring our wisdom and experience for the well-being of all, we no longer fear the evening of life as a time of suffering and futility, but as an opportunity for continued growth in consciousness towards tikkun olam, making this a better world for all generations. The first day of Rosh Hashanah we read the portion in Torah that tells us how Abraham sends away his son Ishmael from his home into the wilderness. We do not hear a word about Ishmael until Abraham dies and Ishmael comes to his funeral. The second day of Rosh Hashanah we read that Abraham is ready to sacrifice his son Isaac and at the very last moment he stops himself and sacrifices a ram. As Abraham and Isaac were walking towards Mount Moriah, the place of the sacrifice, the Torah says: “and they walked together”. This phrase is repeated four times. After Isaac is taken off the sacrifice altar Abraham goes back and Isaac is not mentioned again until Abraham dies and Isaac goes to his funeral. Abraham cuts himself off from both his children. Isaac and Ishmael do not find a way or do not want to reach out to their father and repair a relationship that had been broken. In our days it is not very unusual to have parents and children not talking to each other for long periods of time. Somehow people tend to explain this with what can be called “the individualistic mentality” that says: do what feels right to you and never let life be dominated by “shoulds”. The process of t’shuvah – repentance-, the process of reconnecting to our highest self — “the spiritual mentality” tells us to put love and commitment above self-interest and above whatever feels good at a certain moment. It encourages us to think that the final criteria of goodness is not what “feels right” at this moment. On Rosh Hashanah and on Yom Kippur the Shofar gives us a good answer to this tension between the individualistic mentality and the spiritual mentality. The shape of the Shofar is bent. 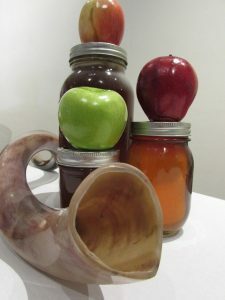 The wonderful sound of the Shofar that wakes us up and touches every cell of our bodies and soul comes from an instrument that is bent and curved over itself. We tend to cling to our pride or to our unbendable principles, to the certainty that he or she should apologize, or call first, or make the first movement. And our life goes by, we stay unbent and we keep our loved ones far away from us. The Torah tells us to listen to the words of God and listen to the unspoken words of our hearts, to listen to the call of the Shofar, and to return to our highest self. May we remember these words to help us in our T’shuva process. To think about those we love and to give ourselves the opportunity to bring them back to our lives. May we be blessed with a New Year in which we see children and parents coming closer together in real repentance for the ways that they might have hurt each other, a New Year of peace in which we see an end to terror of all sorts, a New Year of peace and love and reconciliation.